Learning never stops, and neither should teaching. Mr Chin, a chemical engineer graduate believes that knowledge has a beginning with no end, as well as a key to succeed in life. He possesses teaching and coaching experience of more than 5 years. With his wide knowledge and strong foundation in Science and mathematics, he can make science interesting and simple by connecting stories of your daily life. We are living in the 20th century now, technology and information is widely accessible, yet some students are still having difficulties understanding them due to the lacking of basic conceptual and practical understanding. Delivering knowledge and ensure understanding of students are equally important and these are the core values Mr Chin applies in his teaching. He strongly believes that student’s brain functions differently when reacting to a problem, and shall never categorize any students due to their unavailability to score a high mark in exam. Coaching Style and Class Environment. Mr Chin focuses on children and students brain development by prompting students to think and react to ever changing problems. By continuous stimulating the frontal lobe for cognition and learning and enhancing critical thinking skills and high order thinking skill, students will able to “out-think” the question and able to solve with a snap of a finger. As questions will never be fixed, the only solution to answer all the questions given to you is to improve the way you think and have a strong fundamental understanding of all the lessons. 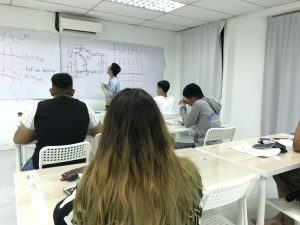 His tutorial lessons focus on interactive information delivering to allow students to participate in questions and voice out any difficulties and confusion faced in exam. 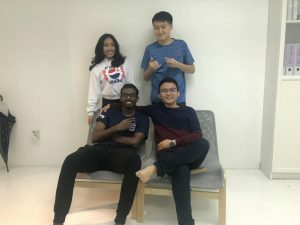 To ensure that his teaching is well accompanied by the latest technology, Mr Chin implemented flipped classroom method by delivering instructional content not only in the class, but providing support through online platform such as Facebook and Whatsapp support group. Bachelor of Chemical Engineering – Second upper class. Mr Chin’s teaching skills can make his students understand the learning easily. Mr Chin treats his students like a friend, that’s why the students enjoy his class so much! Gratitude message from his student. Mr Chin is a hardworking and dedicated teacher. He gives a lot of notes and questions. When students do not understand the notes he will try his very best to help us understand it. Sometimes when the class gets a little still he would randomly talk about lame jokes that no one ask for in attempt to cheer the class up. But overall he's a great bio teacher. Thanks mr chin. Mr Chin is a funny and passionate teacher! Although he cracks up tons of jokes in the class which livens the class a whole lot, but when it comes to teaching, he always tries his best to make us student grasp the concept well. Ever since I’ve had classes with him, I was able to apprehend the concept even more than I would in my school. When you reach out to him, he would never hesitate to help you, he would make sure you understand the question, and explain what you’ve went wrong. Overall, not only he’s a good teacher, but a Good Friend too. I am glad i am one of Mr Chin’s students! 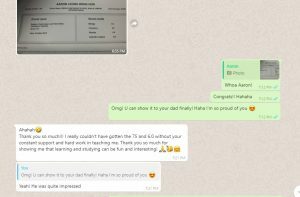 Mr Chin is a very intellectual teacher that teaches his students using some very effective method to help his students acquire the skills that they have yet to learn. Mr Chin is also a teacher who helps his students even when he is finished with his classes and this shows the responsibility in him to attend to his students. He is a teacher that provides first class learning and also first class students that will strive and achieve first class results. Mr Chin is one of the best Add Maths teacher I have ever encountered . Only JPG, GIF, or PNG file types are accepted, preferably with a dimension of 70x70 pixels.